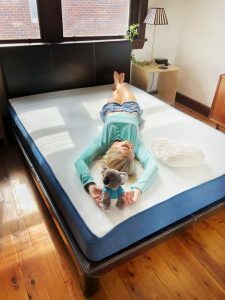 The Koala Mattress is an Australian favourite with over 13 thousand 5 star reviews on Yotpo alone, making it Australia’s highest rated mattress across Yotpo, Product Review, and Google Reviews. It also won Product Review‘s mattress of the year for 2018. So how did we make it? Creating the perfect mattress to suit most people is no easy feat. Our team regularly conduct research on Australians all over the country to find out what they like, and dislike about their mattress. 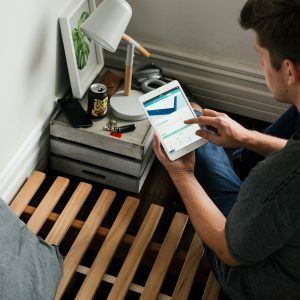 We regularly communicate with customers to find out any less than happy experiences in their ordering, delivery, assembly, and with using the mattress itself. 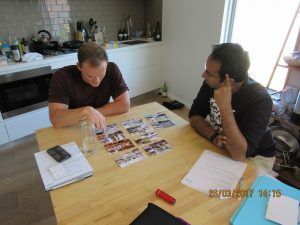 Our team analyses this feedback regularly to continuously find ways to either improve the product, create supplementary products to improve your bedroom experience, or improve existing processes to make your Koala experience as easy as falling asleep! 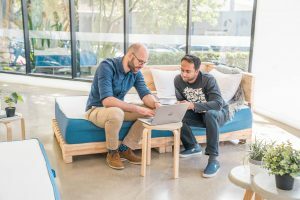 Customer feedback is so important to us because it enables us to learn what we can improve, celebrate what we’ve done right, and help improve the experience of any customers who didn’t have a koalaty experience! The reality is that no mattress is going to suit everyone. From our research we learnt that the sweet spot most people like their mattress is medium firm so we created our mattress with a firmness level of 6.1/10. The bottom layer of the Koala Mattress is high density foam with 5 panel zoning for optimal spinal support. The top layer is called Kloudcell which is our own proprietary blend of polyurethane open cell foam. Kloudcell is named so due to it feeling soft as if you’re floating on a cloud! When you sit on the mattress it will have an initial softer feel as your weight is focused in one spot, however when you lay down it distributes your weight evenly allowing a firmer feel. All our foam has a Good Environmental Choice label, and contains no heavy metals, no fire retardant chemicals, no phthalates, no formaldehyde, almost no VOCs, no ozone-deplete substances, no CFC’s, and almost zero emissions are produced in the production process! Koala actually outperforms all conventional competition, and exceeds Australasian & Global environmental regulations, and has the Good Environmental Choice label. Our mattresses contains absolutely no latex, and memory foam which both retain heat, and retain moisture. Because our foams are naturally cool, and dissipate heat, we don’t need the “cooling layer” a lot of mattresses put in. Because our foams are supportive, and don’t deteriorate from usage, we don’t need springs. We know building a great mattress is actually quite simple so we put in only the essentials, and provide a fair price. …even for people with sensitive skin, or allergies! Our foam contains Ultra-Fresh which has been proven to show antibacterial, and antifungal properties that ensure protection from the growth of unwanted microbes. UltraFresh inhibits the growth of odour, and stain causing bacteria, mould, and mildew! It reduces the allergens in foam by creating an inhospitable environment for dust mites. But don’t worry as UltraFresh is EPA (US) registered, BPR (EU) compliant, Oeko-Tex listed and complies with all regulatory requirements of each country where it is sold. All of our textiles are made of Tencel Lyocell including the top of our mattress cover, and the blue side, and base is made of polyester. Our textiles don’t use AZO dyes as they can break down, and release carcinogenic amines. Tencel Lyocell is gentle on the skin, naturally smooth to touch, provide unfavourable environment for bacterial growth offering a better hygienic fabric, regulate absorption, release moisture so it stays cool, is tension-free so no electrostatic charges, supports body temperature regulation, and is made with no harmful chemicals! Getting woken up by a partner who tosses, and turns, goes up to go the toilet during the night, and wakes up earlier than you for work can be exhausting. That’s why our mattress has been designed to absorb movement through what we pioneered called Zero Partner Disturbance. Even if it’s 4am, and your partner gets up for a glass of water, you’ll stay fast asleep! We’re all busy people just trying to find some balance between work, relationships, friends, family, and general wellbeing. Last thing a lot of us want to do is have to make our way into a mattress store. So we’ve made it easy for you to buy a mattress. Just head to our website, and in a few quick clicks, you’ve ordered a new mattress! If you do have some spare time to pop into store, we’re in select Myer stores. You can find your closest one here. We offer free delivery Australia wide – yes free! We provide 4 hour delivery for most areas in Australia when you order before 2pm. You can check if you’re in a 4 hour zone here. To make things easier, you can book in 4 hour time slots when you want your mattress delivered, and can even opt in for the courier to leave it in a safe place. 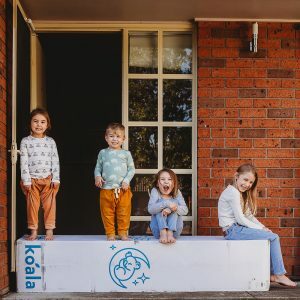 The Koala Mattress comes tightly rolled up in a vacuum seal with recyclable plastic, and inside a recyclable cardboard box. The mattress comes snug in a box to allow you too easily manoeuvre around your home, or the staircase in your building with the mattress until it finds it way into your bedroom. If you need to move it around your home, or out of your home once it is unboxed, you can hold it in half, and bind with rope or a harness so it’s like a taco. We think that spending 10 minutes in a mattress store provides you no real indicator if a mattress is right for you. 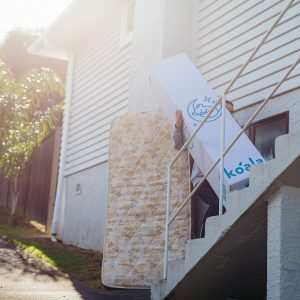 So just like all of the Koala products, the Koala Mattress comes with a 120 night trial. This means you can try the mattress in the comfort of your own home for 120 nights to see if it’s right for you. If it is, keep it, and sleep tight! If not, just contact our Customer Support team to organise a return, and get your full refund. We know life gets a bit messy from children who wet the bed, teenagers binging on snacks, or a couple of adults enjoying a romp in the sack. That’s why we made sure our mattress is easy to clean! Just remove the cover using the zipper on the side, pop it in the wash with a cold wash, and dry it on the line, or on low to medium heat – except we recommend not to tumble dry. But if you want some peace of mind before you make the purchase you can try all our products in select Myer stores here. 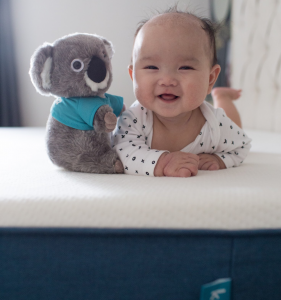 If you’d like to buy a Koala Mattress, just click here and get $150 off today!